At the Fertility Center of San Antonio, we take pride in offering couples more than just the best fertility care in the nation. As one of the first centers in the United States to offer office-based in vitro fertilization, or IVF, we have unique insights into the procedure and fertility in general that we are able to pass on to our patients, providing them with an education that other fertility centers cannot match. At every stage of the IVF procedure, our couples understand what to expect, what is happening biologically, and what they can do to help to promote a successful pregnancy. During consultations at our luxurious office in San Antonio, IVF and the egg transfer stage are among the topics discussed in detail to ensure that our couples understand precisely what to expect during their procedures. In this context, egg refers to a fertilized egg, or an embryo. Below is just a brief overview of what patients can generally expect to experience during the embryo transfer stage. More specific information can be obtained during a confidential, one-on-one consultation at our fertility center. After the egg has been fertilized in the lab, the developed embryo is transferred back into the female’s uterus. By this time, the doctor with whom the patient is working will have created a detailed map of her uterus and will know the precise location where the embryo should be placed. 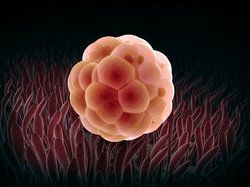 This strategic placement of the embryo is essential to the overall success of the IVF procedure as it dramatically affects the chances of implantation. From beginning to end, the embryo transfer requires only about five minutes, with little discomfort and no need for anesthesia or recovery time. The only requirement of the patient is that she arrives at the appointment with a full bladder. Although embryo transfer is an outpatient procedure that involves little to no discomfort and no recovery time, patients are advised to rest for 24 hours after the procedure. After that, patients can return to their normal routines more or less, but should avoid strenuous activity, including exercise, housework, and sexual activity, for at least two to three days. As with any medical procedure, the success of IVF depends heavily on patients following all instructions provided to them by their doctors to the absolute letter. For many couples, the hardest part of the IVF process is the “two week wait.” The two week wait refers to the period between the embryo transfer and the pregnancy test that reveals whether the IVF cycle successfully resulted in a pregnancy. While we absolutely understand how frustrating this wait can be, we urge you not to use home pregnancy tests during this time as the medications used during IVF are prone to trigger false results, both positive and negative. We will assist you in scheduling a blood pregnancy test at our office and strongly encourage you to try to be patient until then. To learn more about IVF and the egg transfer stage, please contact the Fertility Center of San Antonio today.